Do you want to have a job with fantastic pay and work the hours you want, when you want, then why not train to become a driving instructor. Once you have completed your course you can join our trainee franchise to get the experience of teaching new drivers how to drive to support you towards your final test (part 3). It’s illegal to charge someone for driving lessons if you’re not qualified and registered, or if you don’t have a trainee driving instructor licence. You must display your ADI registration certificate (commonly known as an ‘ADI badge’) or trainee licence while giving paid instruction. When you qualify, your name is added to the register of ADIs. The ADI Registrar is responsible for the ADI register. They work for DVSA. You must be a ‘fit and proper’ person to be an ADI. ADIs are in a position of considerable trust. The ADI Registrar protects the image of the register and maintains the public’s confidence in the ADI industry. The law says you must be a ‘fit and proper’ person, but doesn’t define what it means. The ADI Registrar interprets it as the personal and professional standards, conduct or behaviour that could be unacceptable in the eyes of the public and other ADIs. It’s not possible to be definitive about what’s classed as ‘fit and proper’. There has to be some discretion to take into account the circumstances of each case. The ADI Registrar makes an assessment of the risk you’re likely to pose to the public. The ADI Registrar is allowed to get other information during your registration period that they reasonably need. DVSA and the driving instruction industry have an agreed voluntary code of practice on professional standards and business practices. It gives a summary of the conduct and behaviours that DVSA and the public expect from an ADI. You’ll have a criminal record check when you apply to become an ADI, and each time you apply to renew your ADI registration. Having a criminal record won’t necessarily stop you from becoming an ADI. You could be committing a criminal offence if you try to work as an ADI if you’re banned or barred from working with children under 18. Each case is considered on an individual basis. The ADI Registrar will write to you giving you the opportunity to explain your circumstances before making a final decision. These include both motoring and non-motoring offences. Many of these offences will result in 6 or more penalty points being put on your driving licence. The ADI Registrar has refused applications or removed an ADI from the register when they’ve had 6 or more penalty points within the last 3 years under the ‘totting up’ rules. You must meet the legal requirements to start the qualifying process. The process you have to follow will depend on your situation. You can use books and software from DVSA to help you qualify. They’re also available from most high street and online book shops. Many organisations offer training to become a driving instructor. You can find training provided by people who have joined the DVSA voluntary official register of driving instructor training (ORDIT). Complain to the training organisation if you’re not happy with the standard of training you’ve received. The 3 qualifying tests make sure that you meet the national standard for driver and rider training. You must have booked the ADI part 3 test within 2 years of passing the ADI part 1 test. You have to restart the process if you don’t qualify by then. You have to restart the process if you use up all your attempts. You have to wait until 2 years after you passed the ADI part 1 test before you can start the process again. You can apply for a trainee driving instructor licence after you pass the ADI part 2 test. This allows you to get 6 months experience of providing on-road instruction before your ADI part 3 test. The ADI Registrar can refuse your application for a trainee licence if you’re not a ‘fit and proper’ person. You can apply for another trainee licence when it expires. You can do this if you feel you haven’t had the full benefit out it. You’ll need to give evidence to support the reason. It’s unlikely you’ll get another licence just to give you more time to pass the ADI part 3 test. Tell DVSA if you stop using your trainee licence. This will count in your favour if you need to apply for another licence. The ADI Registrar has refused applications for another trainee licence when the applicant hadn’t reasonably attempted the ADI part 3 test during the 6-month period covered by their previous licence. You can register as an ADI when you’ve passed all 3 qualifying tests. You must register within one year of passing the ADI part 3 test. Your registration will last for 4 years. You’ll be training drivers to meet the national standard for driving cars and light vans. It sets out the skills, knowledge and understanding they need to be a safe and responsible car or van driver. You can use the learning to drive syllabus as a way of teaching people the skills, knowledge and understanding. How busy you are and how much you earn will depend on your ability to market your skills. You’ll generally be in competition with other ADIs. Your salary will be reduced by running costs such as fuel and tyres. You may need to pay franchise fees if you work for a franchise. You can start your own driving school. You need to set up as a sole trader to do this. You’ll need to provide your own dual-control car that meets the rules to be used for driving tests and pay for repairs and insurance. Your pupils can either book their tests themselves, or you can book them. You can sit in and observe your pupils’ driving tests but you can’t take any part in the test and you must follow certain rules. There are different rules for filming or recording a driving test. 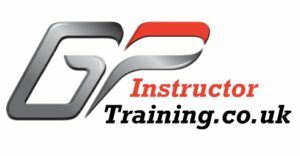 You must register to teach Pass Plus. You don’t need to take any extra training or tests to teach it. DVSA encourages you to join ADI associations and organisations so your interests are properly represented in talks. Each organisation has its own terms and conditions. You can sign up to the voluntary code of practice agreed by DVSA and the driving instruction industry. DVSA encourages you to take continuing professional development (CPD). This is voluntary development to keep your skills up to date. You decide how you do it and pay any costs involved. You can take the voluntary DVSA special test to test your driving skills to the highest standard. At the end of the test, you’ll get a grade from A to D. You can use when you advertise your services. You’re responsible for your ADI registration, including renewing it and keeping your registration up to date. Read about how to manage your registration. You must update your ADI registration within 7 days if your name or permanent home or business address change. You must take and pass at least one ADI standards check during each 4-year period you’re registered as an ADI. The purpose of the check is to make sure you have kept up your standard of instruction. The ADI Registrar will write to you to tell you when you have to take one. You’re responsible for renewing your ADI registration every 4 years. You must get a criminal record disclosure check before you renew your registration. You must still be a ‘fit and proper’ person. You can re-register as an ADI if your registration ran out in the last 12 months. You must get a criminal record disclosure check first. The ADI Registrar can suspend your ADI registration immediately if they think you pose a significant threat to public safety. You can’t get paid for giving driving instruction while you’re suspended. If the ADI Registrar intends to remove you from the ADI register, they will send you a letter. Usually, your name won’t be removed from the register until 28 days after the date of the letter. This lets you appeal against the decision. Your name will be removed from the register if you don’t appeal. You can appeal to the General Regulatory Chamber if you disagree with a decision the ADI Registrar makes about your registration. DVSA runs the Despatch blog for driver and rider trainers, which gives official advice and information for you. You could miss out on important information if you don’t sign up for email alerts and the Despatch blog. You can also follow DVSA on Facebook and Twitter for updates. ADI test and registration fees are set by DVSA – fees for driving instructor training vary and are set by training organisations. Driving test costs for your pupils are also set by DVSA.